Forklift Wrecker by Minute Man Wheel Lifts. 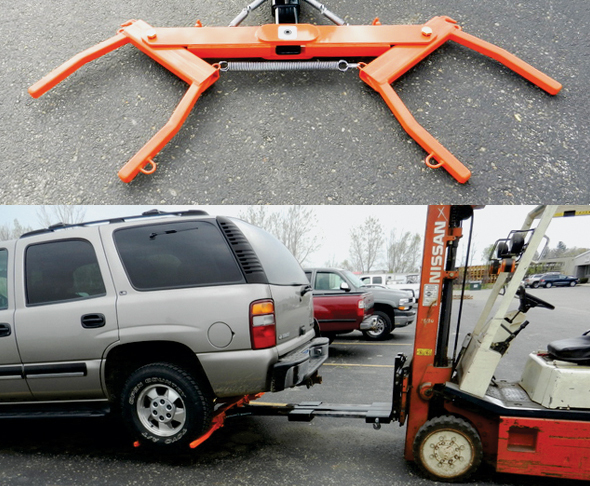 The Forklift Wrecker allows you to easily move vehicles with your forklift. No hydraulics, installs in minutes. Made by Minute Man Wheel Lifts in the USA. See it in action at forkliftwrecker.com or call 877-593-6959.